Stream B.o.B's Last Project "NAGA"
Cue the tears. SZA has announced that, following the release her sophomore album, she will not be releasing any more albums. While the statement doesn't rule out mixtapes or EPs, SZA told Flaunt in a new interview that she's working on the best music her life for her CTRL follow-up, admitting that she doesn't have plans to go much further after its release. When discussing a potential sophomore slump, the singer noted peers Frank Ocean and TDE labelmate Kendrick Lamar who have strived on their second albums. She has been open about her struggles with depression in the past, revealing "I'm still miserable." SZA followed up the comment by hinting at her impending retirement: "My world got so much smaller so fast. I have so much to write about. I feel like I’m in a cage. I’m making the best album my life for this next album and I know that... because it’s going to be my last album.” While the publication notes that the artist delivered the announcement with a light-hearted grin, SZA has been known to flirt with the idea leaving music. 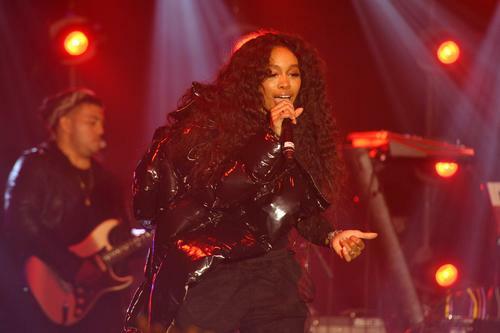 SZA has certainly proved herself at the top the loaded R&B roster talent, with her debut album CTRL impressing many and leaving fans wanting more. While the allusion to retirement could simply be a remark made jokingly, we'll see if she keeps her word. Nevertheless, we're looking forward to the re-issue CTRL and the upcoming follow-up. Read the full interview here.